Stay warm and toasty anywhere from first chair to last tracks in the Nils Lisbet Ski Pant. These ski pants are designed with both luxury and comfort in mind. Thermo Extreme 40g insulation and fabric detailing at the knees ensure a warm ride through the powder and a slim, flexible fit flatters a skier's curves. 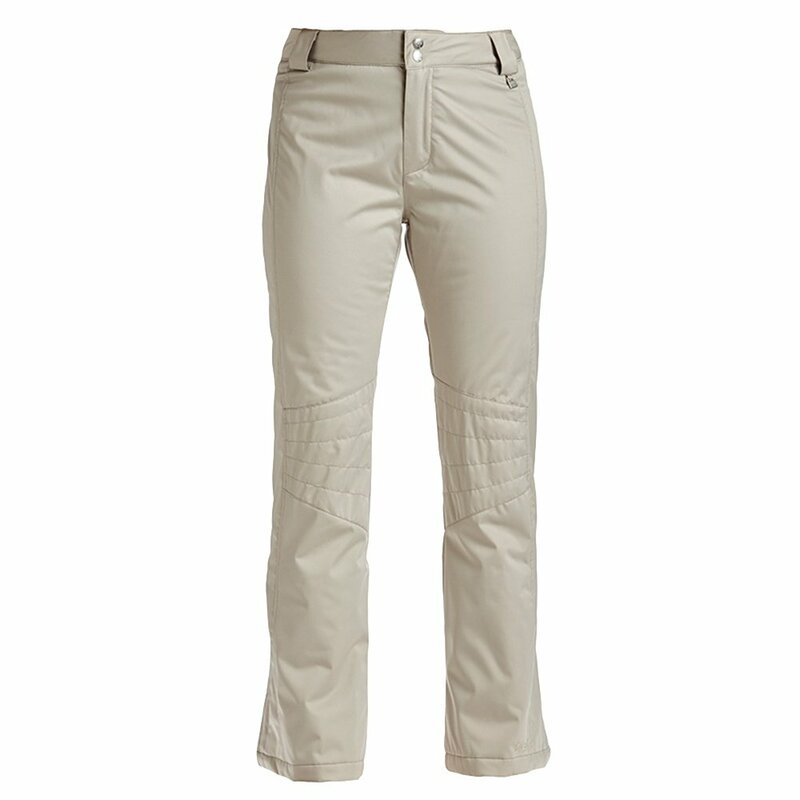 The Lisbet pant also features zipper back pockets and belt loops to make sure you've got the perfect all-day fit. Thermo extreme 40g insulation keeps legs warm, even in deep powder. A gaiter with lycra insert cinches around your waist to keep snow out. The mid-rise fit with stretch hugs curve to combine high fashion and high function. "Do these ski pants run true to size and do they have elastic on the bottom to go over your boots to keep snow out?" "Yes, these pants do run true to size. Yes, the pants have elastic at the bottom to go over your boots to keep the snow out. We hope this information helps! "